On a gloomy February afternoon, Jim sends his wife Annie out to do the shopping before dark falls. He seals their meagre apartment, unhooks the gas tube inside the oven, and inhales. Sister St. Saviour, a Little Nursing Sister of the Sick Poor, catches the scent of fire doused with water and hurries to the scene: a gathered crowd, firemen, and the distraught young widow. Moved by the girl's plight, and her unborn child, the wise nun finds Annie work in the convent's laundry – where, in turn, her daughter will grow up amidst the crank of the wringer and the hiss of the iron. In Catholic Brooklyn in the early part of the twentieth century, decorum, superstition and shame collude to erase Jim's brief existence; and yet his suicide, although never mentioned, reverberates through many generations – testing the limits of love and sacrifice, of forgiveness and forgetfulness. 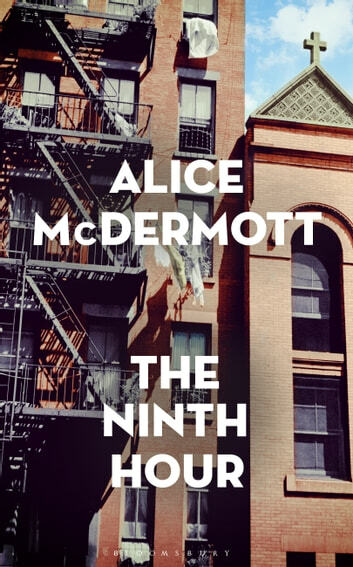 In prose of startling radiance and precision, Alice McDermott tells a story that is at once wholly individual and universal in its understanding of the human condition. Rendered with remarkable lucidity and intelligence, The Ninth Hour is the crowning achievement of one of today's finest writers.